Bob Marley Fan Community App Lanuched! 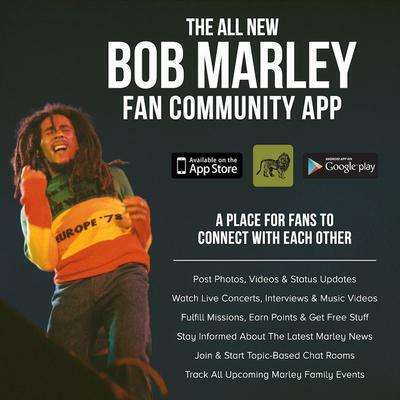 CHECK OUT THE NEW BOB MARLEY FAN COMMUNITY APP! Post photos, videos, watch live concerts, music videos, get free gear and stay informed of all the latest Marley news. Join and start topic-based chat rooms! Free for everyone! Visit your App store today!